Siwash hooks are an option that many anglers should consider when fishing in weedy areas. I have dealt with a lot of frustration when fishing weedy areas. Treble hooks that seem to catch onto everything – except for fish! More and more anglers are choosing to change their treble hooks out in favor of siwash hooks. There are a lot of pros and cons to making this switch. 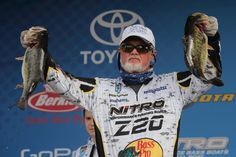 In many situations, I have found that the benefits of making the switch far outweigh dealing with the frustration of fishing with treble hooks. Decreases Snags – The most obvious benefit of switching to a siwash hook it that it makes fishing much more snag-less. The siwash hook is much less likely to catch onto timber or vegetation that you may encounter when you are casting your bait. This lowers my blood pressure a lot when I’m fishing and makes it much more enjoyable! Trending Now: Many manufacturers include a single hook in the package of their in-line spinnerbaits. You can easily convert your lure by cutting off the treble hook and replacing it with the single hook provided. 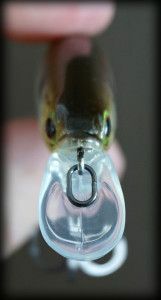 Easier To Remove – The siwash hook is a lot easier to remove from the fish’s mouth. Instead of having to deal with a treble with three (3) hooks, you just have to worry about removing one (1) hook from the fish. This also saves your net. I have found that often the hooks of the treble get caught in the net and I usually end up tearing them out of the net in a rush. 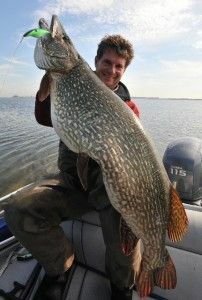 It’s Safer – Having a big pike in a net and trying to remove hooks from its mouth is unnerving enough! Having it thrash and set the treble in your hand is a sure fire way of ending your day on a bad note… A siwash hook is easily removed. Simply grab it firmly by the shank with a good set of pliers and carefully tug it out. It should be far easier to remove than a treble. Decreases Harm to Your Catch – Using a siwash hook doesn’t harm a fish’s mouth as much. There’s only one hook and its easily removed. From experience I can tell you that trebles twist and if there’s two hooks in the fish’s mouth it’s going to really harm the fish when you twist and pull that treble out. Ouch! I can’t tell you how many times I’ve thought to myself “that’s gotta hurt”. Single hooks make taking them out easier and in turn will allow you to release a fish faster. This decreases mortality rates for your catches. Better Hooksets – Siwash hooks provide better, more solid hooksets. 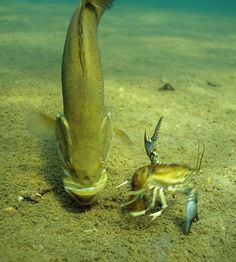 A single hook with a swivel will have a better landing rate since fish won’t be able to create leverage by twisting and thrashing. Easier To Manage – A single siwash hook is easier to manage. It doesn’t get caught on boat carpet, clothing, and everything else. 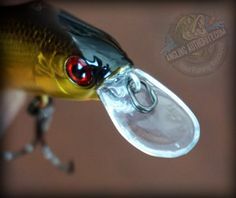 Unbalances the Lure – A single hook is asymmetrical and will slightly throw off smaller inline spinnerbaits. This will produce a wobble in the bait and it may not run straight. Hookup Ratio – A single hook may have a lower hookup ratio than treble hooks. I keep a single hook version of all my favorite lures. There are occasions that call for treble hooks. I definitely don’t recommend that anglers change all their trebles out with siwash hooks. 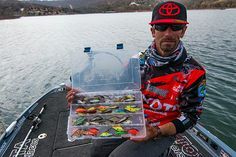 Lures such as crankbaits that have a lot of action will shake their hooks around and siwash hooks on this type of bait may not help you catch fish. I also don’t swap out my hooks on any of my stickbaits. I find that there are other ways to tune them. I have not gone ahead and switched all my baits to single hooks. I feel that there are definite benefits to having the option of throwing a bait with a siwash hook, but treble hooks still have a place in my tackle box. It will be up to each angler to decide what is important to them when considering switching to siwash hooks and whether they want to try it. I tend to throw baits with single hooks more often than not when I’m dealing with inline spinner baits.